The first time I read it, I really enjoyed it. Now that I have had time to sit and think about it and pick it apart- I am not sure what I think. There was a massive lack of world building in Death Sworn- and in a fantasy novel, that really is a must. I had no idea what was going on other than the scenes that were being presented. I really think that was the biggest issue in this book- I had no history of Ileni or the world- so I had no reason to care. 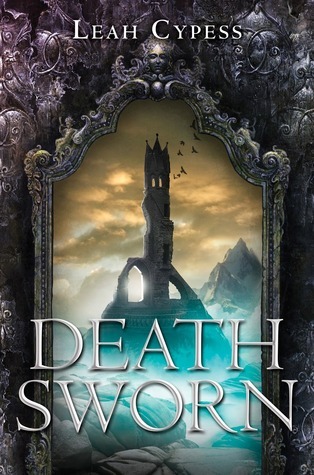 If you are a fan of fantasy and magic, you will probably enjoy Death Sworn- but I am holding out for the second book to see if the problems of the first get resolved. I really enjoyed this book. I think the sequel will be even better because I hope for some world building--which this introduction book was missing, imo. I think it was a fun, fast paced read and I'm excited to read more from the author. Granted, I did see some faults (like the world being so vague). I ended up being surprised by Leah's Mistwood world. I've been really eager to read this ever since I found out about it. I know Mistwood didn't work for all, so I'm thinking I may still enjoy this as well.